Auto Rental Uganda can arrange perfectly places to spend a night or two or more on a whole journey through Uganda and Rwanda. Whether you opt to sleep under the stars with our quality camping gear, opt to sleep in budget tented camps or opt to spoil yourself and slumber in luxury lodges with personalized touch. Our Car rental and Accommodation pre-arranged trips we entail details to a very well put together inspirational journey and if you opt making use of our car rental & Driver guides we still arrange of your Budget. Discover the hidden treasures of the wilderness or make perfect of a self drive camping adventure in Uganda. 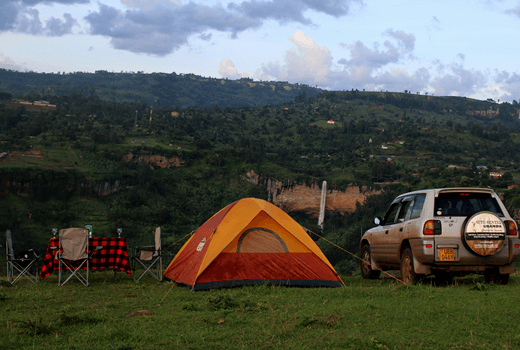 Hire a car and camping gear at discounted rates, drive and camp under the stars in one of our recommended camping sites for an inspirational journey through these beautiful lands. Read more about our car rental & quality camping gear rental…. 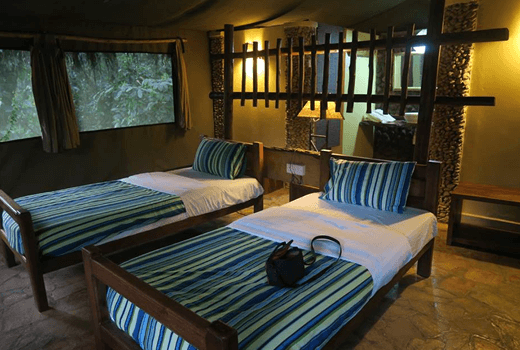 Choose to spoil yourself and spice up your self drive safari experience sleeping in one or a series of our recomended Safari lodges or slumber in luxurious lodges that we have personally picked up on a self drive car rental trip in uganda. Great service, great views and yes great experience. Read more about our car rental & Accomodations….